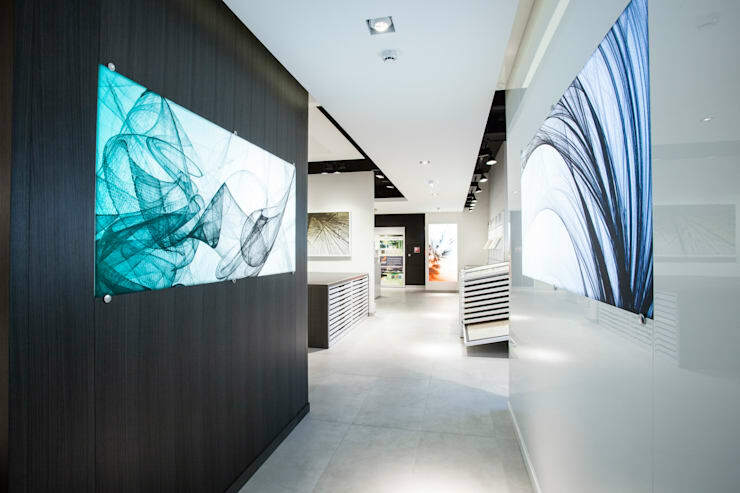 If you haven't noticed the influx of false ceiling designs bursting into the interior design world right now, where have you been? 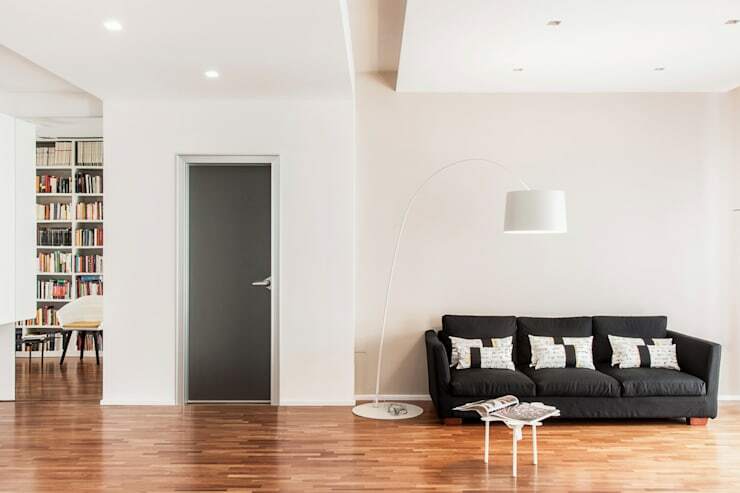 Interior designers the world over have been asked to make the clients' homes just that little bit more interesting and sculptural and when you see how they are fulfilling that mandate, you'll be blown away, we guarantee it! 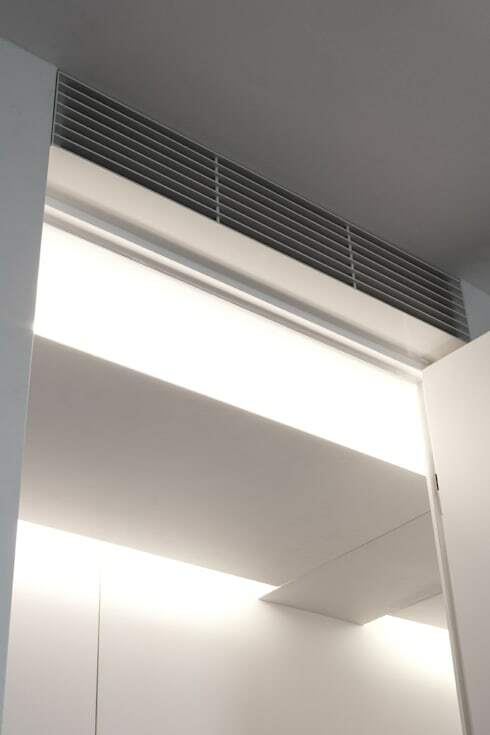 Far from just being decorative additions, false ceilings also have practical applications as well, as we'll show you now! Just look at the way the false ceiling here has created a lit-up frame for the whole room! 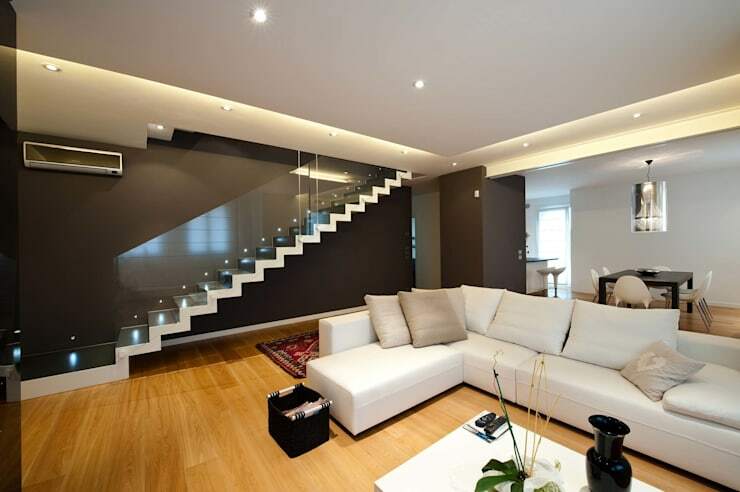 It adds lighting where you need it, such as above the stairs, and creates a cosy ambience, while looking super modern. Wow! Emphasising the dimensions and recesses of this false ceiling with antique-style ceiling frescos looks great and encapsulates two trends in one; painted and false ceilings. 3. A gorgeous book nook. Isn't this corner simply charming? 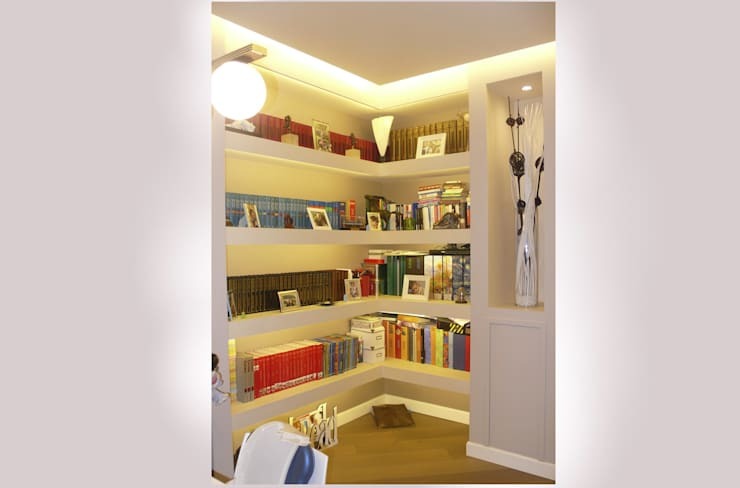 By adding a false ceiling, sleek edge lighting has been added to up the functionality of this previously dark little space that is now, a handy home library! 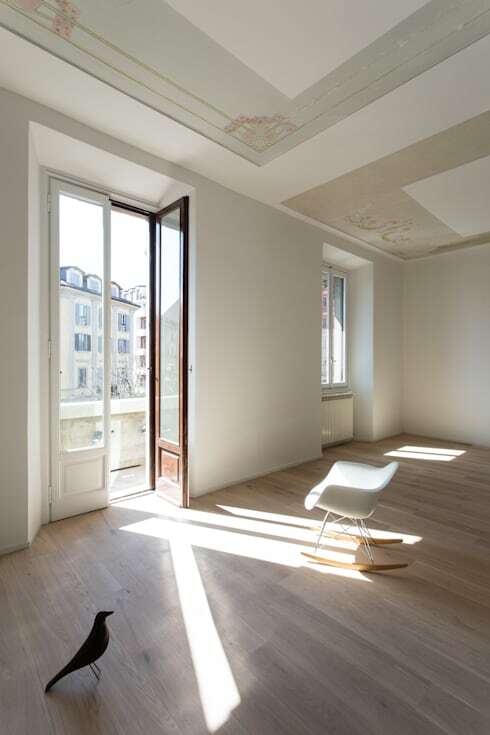 We told you that false ceilings are practical as well as pretty and here is the proof! Making easy work of hiding air conditioning cables and systems, this example shows how useful they can be. 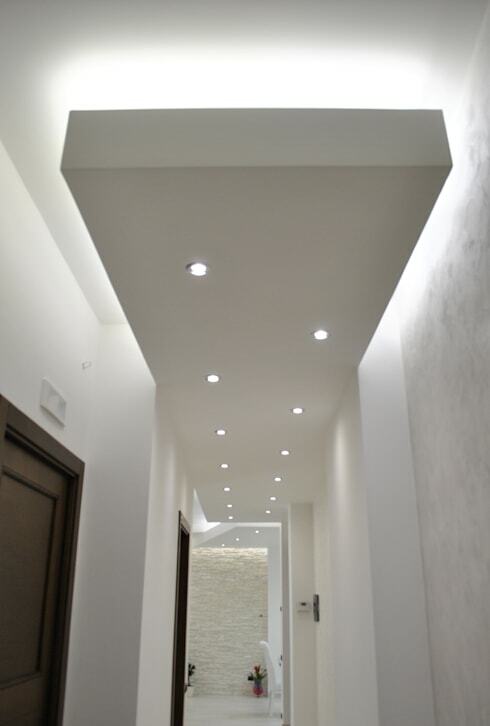 In a long but fairly plain hallway, a false ceiling really adds a sleek and sophisticated edge, without overshadowing the size of the space. The sunken spotlights look so glamorous too. Open-plan spaces can be hard to 'divide', so you know where one function ends and another begins, but not with false ceilings! By adding them to main areas and leaving the original ceiling height in between, you always know where you are. 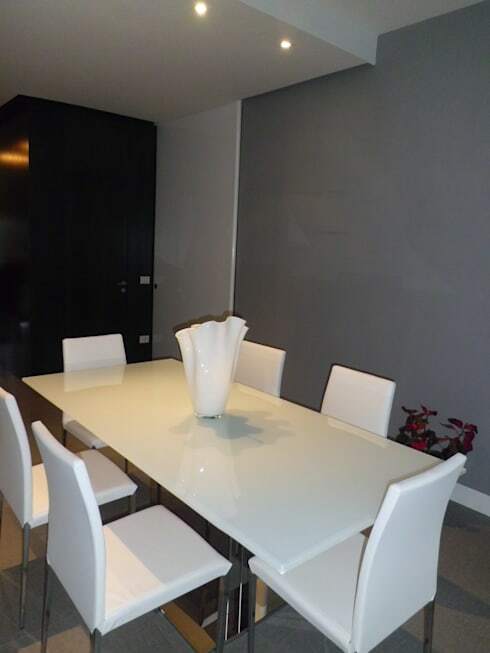 We love how simple and elegant this dining room is, almost to the point of being minimalist,but add in a false ceiling and it is just a little bit more interesting and offers fantastic task lighting for the table. 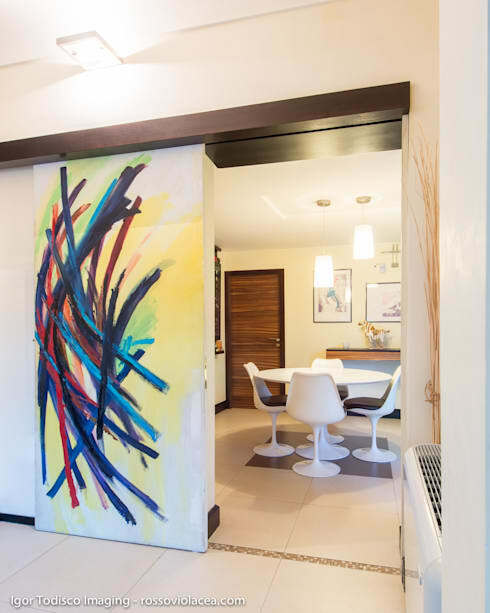 If the idea of carving sweeping lines into a false ceiling doesn't appeal to you, we think this simple approach will. A rectangular recess offers all the framing you need for some statement light fixtures and adds just enough interesting detail. Now this is an idea that we really love! 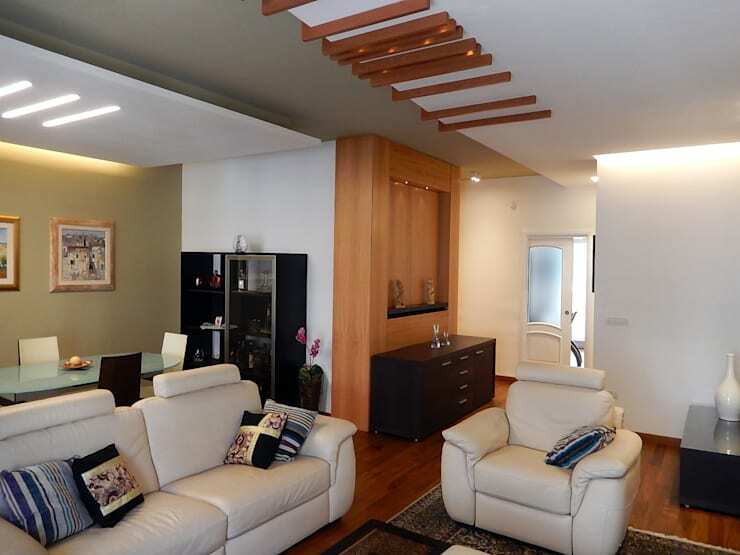 Make more of a false ceiling installation by adding natural materials to it, to tie it in with a wider room. The wood here looks elegant yet striking and fantastically modern. 10. A touch of industrial chic. False ceilings work so well in otherwise industrial homes, as you can choose which conduit to keep on show and which to hide. Plus, large white ceiling panels add in a little softness that is often overlooked. For more amazing ceilings, take a look at this Ideabook: 7 examples of stunning vaulted ceilings. Would you love false ceilings in your home?